The ORFs 5, 6 and 7, encoding for the three major structural proteins, GP5, M and N, of the IAF-Klop strain of PRRSV were cloned and expressed in 293 cells using replication-defective human type 5 adenoviral vectors (hAdVs). Although the M protein gene could be cloned into hAdVs and expressed constituvely in 293 cells under the control of the hCMV immediate early promotor/enhancer, hAdVs expressing N and GP5 proteins, which appeared to be toxic or interfered with adenovirus replication, could only be generated by inclusion of a tetracycline-regulatable promotor in the transfer vector pAdTR5. The recombinant (rec) proteins appeared similar to the authentic viral proteins in regards to their Mrs and antigenicities. However, the recGP5 apparently possesses different N-linked oligosaccharides residues. Its sensitivity to endo-β-galactosidase digestion indicates that poly-N-acetyllactosamine is present on the individually-expressed protein, but not on the authentic GP5 anchored into the virion envelope. The recGP5 apparently accumulates within the ER compartment as a glycoprotein that possesses high-mannose N-linked oligosaccharide side chains sensitive to endo-β-N-acetylglucosaminidase H treatment, by contrast to its viral counterpart for which N-linked oligosaccharide side chains are of both high-mannose and complex types. Coinfection of 293 cells with hAdVs expressing the M and GP5 did not lead to M-GP5 heterodimer formation, as demonstrated in PRRSV-infected cells. Moreover, cells infected with inducible hAdV/ORF5 showed that GP5 of the North American strain is proapoptotic. Indeed, when the expression cassette was turned-on, caspase 3 activity in hAdV/ORF5 infected cells was enhanced and DNA fragmentation could be detected by TUNEL assays. Pigs intradermally injected twice with hAdV/ORF5 developed antibody titers to the authentic viral GP5 as soon as 10 days following challenge with the homologous virulent PRRSV strain, as revealed by Western blot and virus neutralization tests, suggesting the establishment of a specific immune memory. In memoriam. 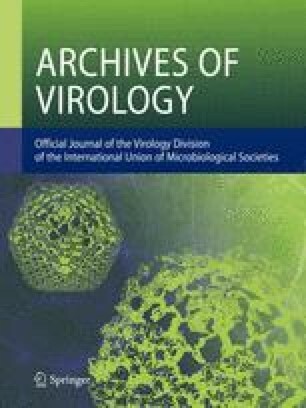 The authors wish to offer their condolences to the family and friends of Dr. Serge Dea, who died on January 3, 2003, and acknowledge his tremendous accomplishment in the field of Nidoviruses.